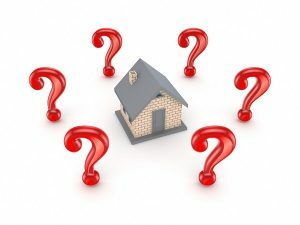 If you want the IRS to discharge the lien because you have plenty of equity in other property for the IRS to attach a lien interest to, the total value of the remaining property must be equal to twice the amount of the tax liability owed plus any other debts that are senior to the tax lien (such as a mortgage). Even so, the IRS may still not issue a discharge. If you want the IRS to waive the lien based on partial satisfaction of the tax debt, you must give them the proceeds from the sale in an amount equal to the IRS lien interest in your property. Using the example above, you would have to give the IRS $100,000 from the sales proceeds in order to receive a lien discharge. You might also get the IRS to agree to have the sales proceeds held in escrow, with the IRS maintaining the same lien priority in the escrow funds as it had in your home. This rarely occurs unless there is a legitimate dispute about who is entitled to the funds. If you are able to get the lien discharged, the IRS will still retain a lien interest in all of your other property, and you will still owe the tax liability that remains after any proceeds are distributed to the IRS. Contact a tax lien removal attorney for more information on negotiating a lien discharge.